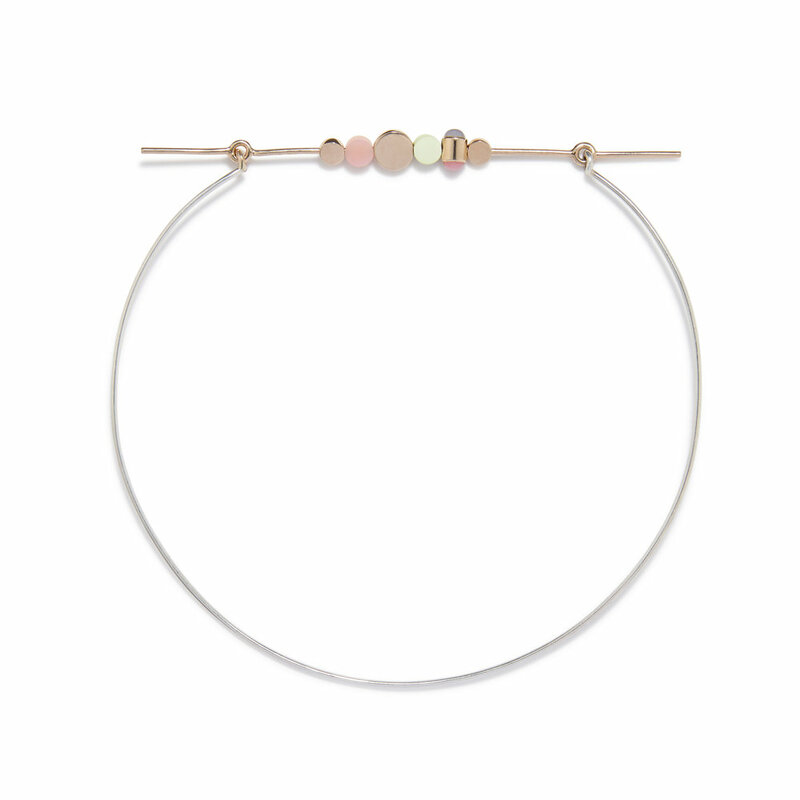 6mm - 9mm Lemon Chrysoprase, pink opal and gold discs. 5mm pink opal and blue chalcedony cabochons. Movable discs and stones.